Nurse shortages are a key public health challenge faced by low, middle and high-income countries. In middle-income countries, nurse shortages are most pronounced in rural and remote areas, which often have poor infrastructure and offer few opportunities for career development. This has led to inequalities in healthcare provision and health outcomes between relatively wealthy urban areas and poorer rural communities. Countries that are committed to providing universal health coverage must develop effective strategies that both attract and retain nurses to rural areas. 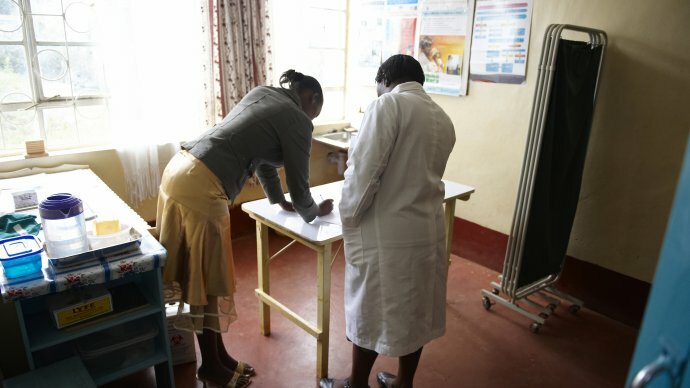 Recent evidence from two middle-income countries, South Africa and Thailand, suggests that the background and training location of nurses is an important factor affecting nurses’ job location decisions, and could inform government strategies to enhance rural worker retention. These findings are mirrored in Thailand where, despite significant economic development and poverty reduction over the past 40 years, the geographical mal-distribution of nurses remains a problem, especially in the remote hardship and border areas. In a study that examined the attitudes of over 3,300 nursing students, rural upbringing and entering the nursing education programme through local recruitment processes were associated with a more positive attitude towards working in rural areas. The research in South Africa also found that decisions about job location are also affected by nurses’ devotion to others, demonstrated by their dedication towards their patients. The more dedicated nurses are, as measured by their generosity towards patients in an economic behavioural experiment, the more likely they are to choose a rural job. The research from Thailand and South Africa suggests that rural recruitment of nurse students should be an important strategy for attracting and retaining nurses to work in rural areas, and that educational institutions should modify their selection policies to prioritise such students. New training institutions may also be better located in rural areas to attract rural workers. Indeed, these strategies have already been implemented in Thailand where the government has invested in locally recruited and trained nurses, who go on to work in their home towns after graduation. Further, to ensure that a higher proportion of nurses are willing to choose rural posts, the recruitment processes of nursing students could try to ascertain the extent to which potential candidates show signs of dedication towards patients, or a commitment to improving patients’ wellbeing. Alternatively, assuming that professional dedication can be nurtured, health workers’ curricular and experience during their studies could be adapted to cultivate positive attitudes towards patients.